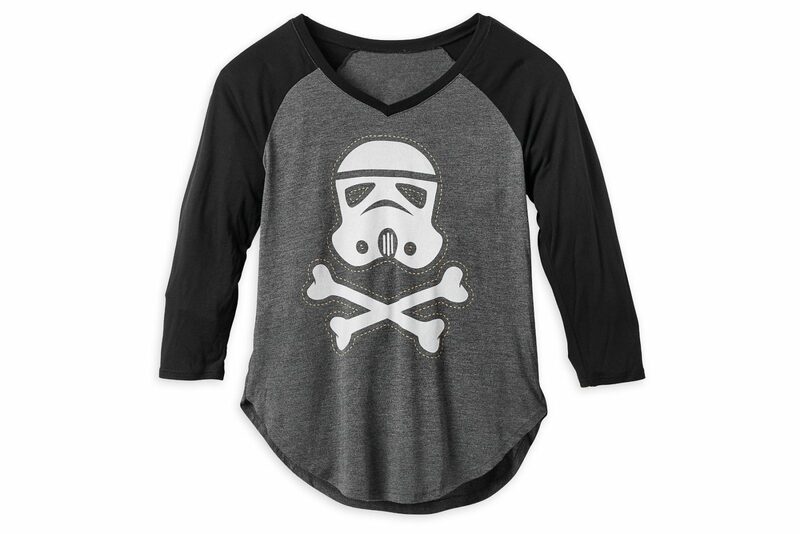 Start getting ready for Halloween with this cute Star Wars Stormtrooper tee at Shop Disney. Made from 50% cotton / 50% polyester, the raglan style tee features a stylised Stormtrooper helmet as part of a skull and crossbones design. The artwork has faux stitching details, so the design looks like a patch. The dark heather grey tee has contrasting black 3/4 raglan style sleeves, and black contrast binding at the neckline. 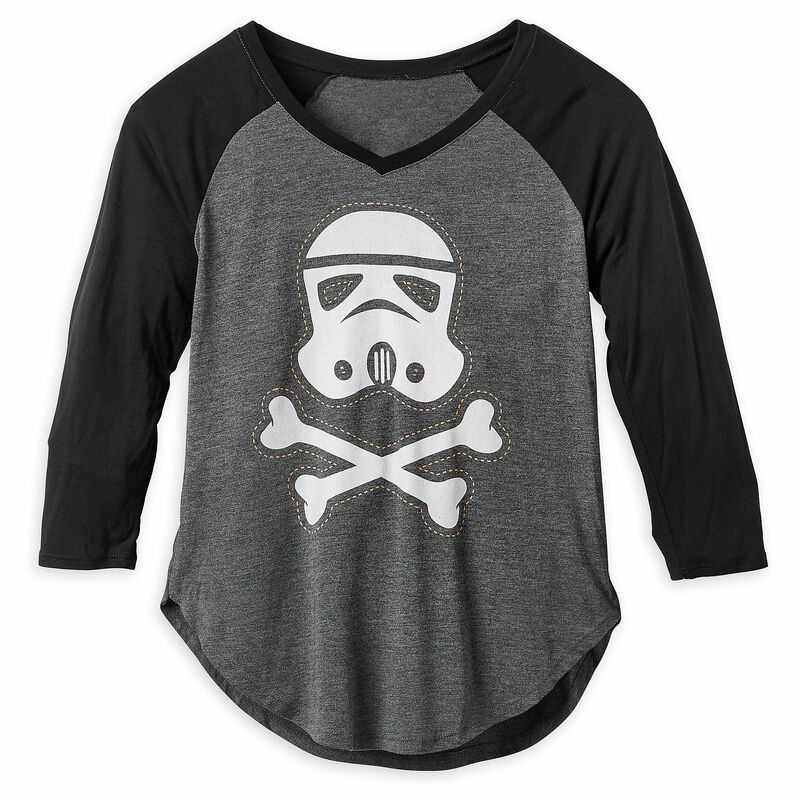 Defend the First Order in fine fashion when you wear this Stormtrooper raglan tee. 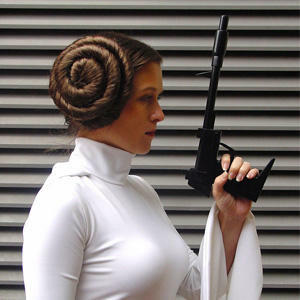 Featuring a Stormtrooper helmet, crossbones, and faux stitching, this Star Wars shirt will be a frighteningly fashionable Halloween favorite. Available in sizes S to XXL, the t-shirt is priced at US$29.95 each – while Shop Disney can usually ship internationally, this particular item is restricted to US addressed orders only (overseas customers can order via a mail forwarding service).